DataCleaner is an enterprise ready data analysis and profiling tool. It is available for Linux, Microsoft Windows and Mac operating systems. Although originally a free application, it is still available in trial versions for testing. It lets you analyze your data, find missing values, compare your data, detect the duplication of data and perform cleaning of data. It is a stable and mature application and can successfully analyze both small and big data. Let’s see how we can install this application on Ubuntu. Although for other Linux distributions it is available in source packages so you need to perform configure, make and make install operations to complete its installation. But for Ubuntu and Debian operating systems, .deb installer packages are available, in this way you can easily install it on Ubuntu and Debian. 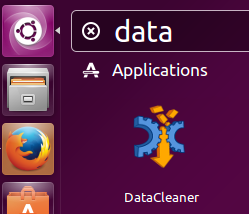 First of all download the .deb file for DataCleaner for Ubuntu from following URL. Once the download process is complete, launch your terminal and go to the download location, here run following command to install this package. Here is how successfully install process should look like. Congratulations, DataCleaner has been installed now. Launch it from Applications menu. It will take couple of seconds to perform required configurations on very first time launch. There you go, start analyzing and profiling your data. It is a popular tool for analyzing your data, it helps organizations perform successful data integration and avoid common mistakes. Many well known organizations are using this tool for their smooth data operations.